This frock coat convinces with stylish retro elegance. 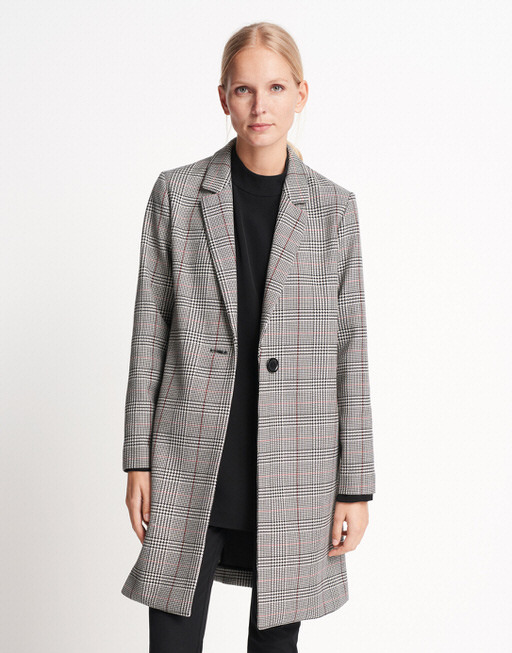 The classic silhouette harmonizes perfectly with the Glencheck and gives the coat a French flair. The long lapel and a large button on the front, round off this straight-line model.